One morning in the hot summer of 1999 Commissario Laurenti is woken up by a phone call from his office: a luxury yacht has been found along Trieste’s coastline. Travelling high speed, the yacht has destroyed a mussel’s livestock. The owner of the boat is Bruno de Kopfersberg, who was involved in an old case of Laurenti’s, concerning the man’s wife death. This case has been haunting Laurenti, who so far hasn’t been able to prove Kopfersberg guilty. A long time story comes back to him. Is the man really dead or is he hiding somewhere? An if he is dead, who killed him? Moreover, what is his import-export firm dealing with? Why are there so many mysteries and why does nobody really want to help him solve the case? Laurenti’s first hint comes from the world of prostitution: the killer of a prostitute has been blackmailing Kopfersberg and Drakič for their dirty business. Laurenti discovers that they are involved in a trade of prostitutes from Western Europe and they are about to close a huge deal with the Southern Italy mob: providing supplies and humanitarian help on behalf of the UE in the earthquake area in Turkey. As usual, nothing is as it seems and corruption moves and rules so much the underworld as the police of Trieste, an apparently quiet and small town far away from the greatest trades. "A fine novel. This book has everything a crime story needs: plenty of blood, beautiful women and a police commissioner"
"Dans le genre du policier quinquagénaire qui n'a pas beaucoup d'illusion, il représente une variante originale. Le roman de Veit Heinichen apporte une note originale au mythe littéraire triestin. 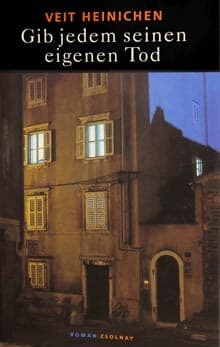 Plus qu'un décor, la cité devient un personnage, et les préoccupation de ses habitants contrastent avec les rouages du crime organisé"
"Ce livre rythmé, haut en couleur, maitrisé, fouille les poubelles de la nouvelle Europe mieux qu'une thèse."